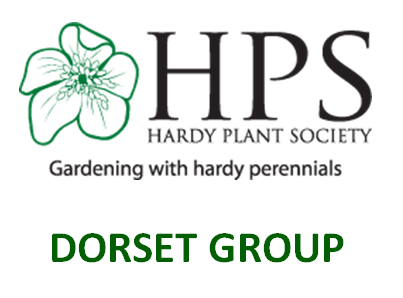 We are one of the regional groups of the Hardy Plant Society, whose aims include stimulating interest in growing hardy perennials. In fact last year, 2018, we celebrated our 20th anniversary year since we were formed, by 21 members breaking away from the Hampshire Group in 1998. ​For photos and write up of previous meetings ​click here. 17th Mar 2019 - As we issue this month's Hardy Times, Fergus Garrett tickets are now on sale. He will be coming to see us on Saturday October 26th. Doors will open at 2 pm, with refreshments served BEFORE the Talk, which will start at 3 pm. The cost of tickets will be £2.50 for Dorset Group members and £8.00 for non members, to include your refreshments. Tickets will be available at any of our meetings, but may also be purchased by contacting us via our Contacts page on this website, or using our group email. 23rd Feb 2019 - For the first time in many years, we shall be announcing a "Seedling Swap" to take place during the April Speaker Meeting so sow extra seeds now and bring them along to exchange for more plants in April. 23rd Feb 2019 - Our member, Jane Norris, has offered to run a "Twin Scaling" masterclass for all those who would like to create more snowdrops by this method later in the year. No dates fixed at present but if you are a member who is interested, please contact us so we can get an idea of numbers. 7th Jan 2019 - Holiday now SOLD OUT. Wait List started so register if you are interested. Go to Calendar of Events to see what other gardening events are happening.